Richard Ayoade was recently knighted by Variety in their annual 10 to Watch list, an esteemed list of hot new directors on the block. Actually, he isn’t exactly new. In addition to his experience in stand-up comedy, much like contemporaries Edgar Wright (Shaun of the Dead), Armando Ianucci, (In the Loop) and Chris Morris (Four Lions), he seems to have come from the superlative comedy training ground that is British television. Ayoade’s quirky UK coming of age comedy is deserving of the attention. It’s an auteur/idiosyncratic work, not entirely original stylistically but funny and involving enough to make us anticipate his second film. Fifteen-year-old Oliver Tate is from the Wes Anderson family of protagonists, an articulate self-aware youth too mature for his body and with too much misplaced energy. Through the heavily-detailed observance in his voiceover we know exactly who this character is. Early on he describes his efforts to find his niche in high school by experimenting with a roll call of peculiar hobbies from French crooners to silly hats. Like Rushmore’s Max Fischer, Tate wants to have the emotions of an adult, but he has no outlet for life’s drama. His parents are emotionally detached robots who barely emote anything above a whisper to each other. His only friends in school are immature children, not yet at the intellectual level Tate desires to be. But he also has a massive crush on the enigmatic and aloof Jordana, who appears as emotionally superior and mature as he does. His attempts to ingratiate himself to her involve bullying one of his good friends resulting in her transfer from school. But it works, and soon Oliver and Jordana are moving from first base to second base and beyond. Meanwhile, a new neighbour, Graham, a pretentious new-age psychic played with delicious ‘80s mullet-head tackiness by Paddy Considine, arrives attracting the attention of Oliver‘s mom. With the impending breakdown of his parents’ marriage and the inability to deal with Jordana’s own family problems, the drama Oliver desires eventually arrives. We’ve seen just about everything in this film already, from the articulate obsessively-specific details of his observant voiceover to the quirky framing, wide-angle lenses and general tone of oddball kookiness. This genre goes back to The Graduate and was eventually exploited for a handful of Wes Anderson’s films. Taika Waititi’s Sundance entry from last year, Boy, also comes to mind, and in terms of the hilariously inventive use of absurd voiceover, Trainspotting appears to be an influence. Though it’s familiar territory, Ayoade’s characters are honest and seem to derive from a place of real personal angst. Perhaps it’s the source material, a novel by Joe Dunthorne, which is apparently a semi-autobiography from Dunthorne’s youth in the ‘80s. 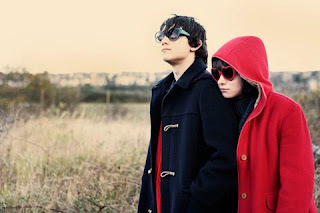 Sympathetic and unflashy performances from the kids, Craig Roberts and Yasmin Paige, and the cozy warmth of Sally Hawkins and Noah Taylor as the parents anchor it all in heartfelt reality.